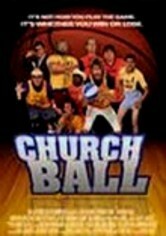 Fred Willard stars as a bishop intent on pulling together a winning team for his soon-to-disappear church basketball league in this comedy that boasts a very unusual cast. Included among the players on the ragtag squad are an Uzbek immigrant, an overweight baker and (most odd of all) the diminutive Gary Coleman, who serves as the center for the team. Mormon filmmaker Kurt Hale directs.